Innovation that Drives Safety, Reliability and Uptime. Safety and dependability drive us, and they drive you too. 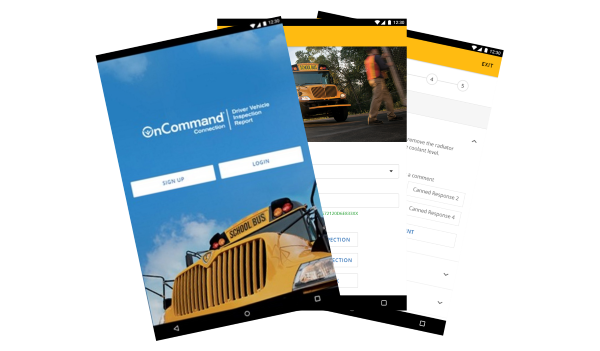 OnCommand® Connection brings you peace of mind and control of your school bus fleet with eDVIR and Advanced Remote Diagnostics. OnCommand Connection brings you the electronic version of the paper DVIR. Conduct accurate, consistent and DOT-compliant inspections on a tablet. OnCommand Connection eDVIR allows bus drivers and fleet managers to stay in touch with each other on the status of your fleet. Request a Free eDVIR Demo Today. The health and engine status of your buses is important to safe and reliable student transportation. OnCommand Connection Advanced Remote Diagnostics monitors your fleet’s health for faults that can impact the fitness of any vehicle. Our detailed health reports and action plans will help you reduce your maintenance and repair costs while keeping your buses running safely and on time. Request a Free Advanced Remote Diagnostics Demo Today. 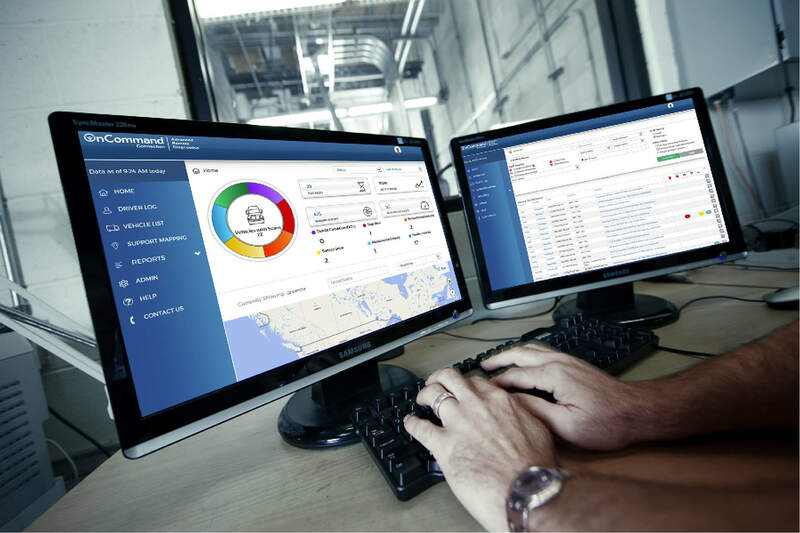 Through our partnership with Fleetsoft, OnCommand Connection integration with our real-time Advanced Remote Diagnostics and Electronic Driver Inspection Reports (eDVIR) with Fleetsoft Fleet Maintenance provides customers with powerful solutions to improve Uptime, Reliability and Safety of Fleet. Request a Free Fleet Monitoring and Maintenance Demo Today. The Kajeet SmartBus solution turns bus travel time into instructional time, extending the classroom and helping improve student behavior, and overall safety, by providing filtered Internet on the school bus. Allow students to complete homework, study, or collaborate with peers on long routes. Keep students engaged, contributing to a reduction in behavior incidents. Allow drivers to focus on driving safely. Let athletes and extracurricular groups learn while traveling to and from school events. Connect all technologies on the school bus, in addition to connecting students.